Join Toronto's best winter walking tour. See the main sites of the city, while traveling 5 metres (20 feet) below ground. This 2 - 2.5 hour tour gets you from site to site while utilizing Toronto's 32km / 24 mile underground city called the PATH. The PATH walking tour begins inside Toronto's historic Union Station, we make our way through the fast growing hi-tech area of the city. We stop by the Air Canada Centre/Scotiabank Arena. We head north into the core of the city, traveling beneath the iconic bank building which exist in the downtown area. We stop by Toronto's City Hall, and learn the story of the immigrant. 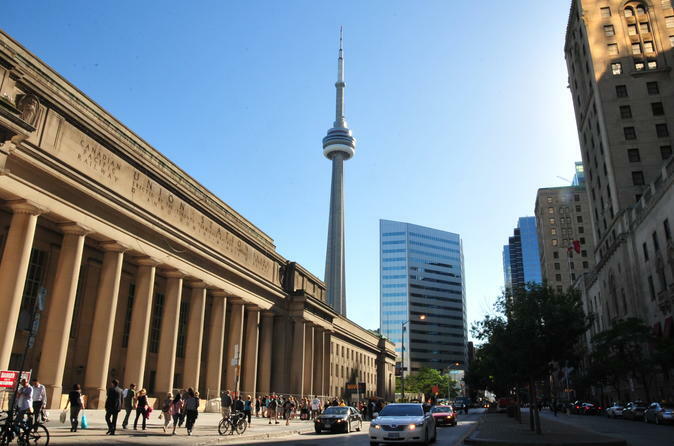 We make our way to Toronto's largest attraction, the Eaton Centre and end the tour at Yonge - Dundas Square. At each stop along the way, the tour pops up and may step outside for a brief time to get the full view of the sites.